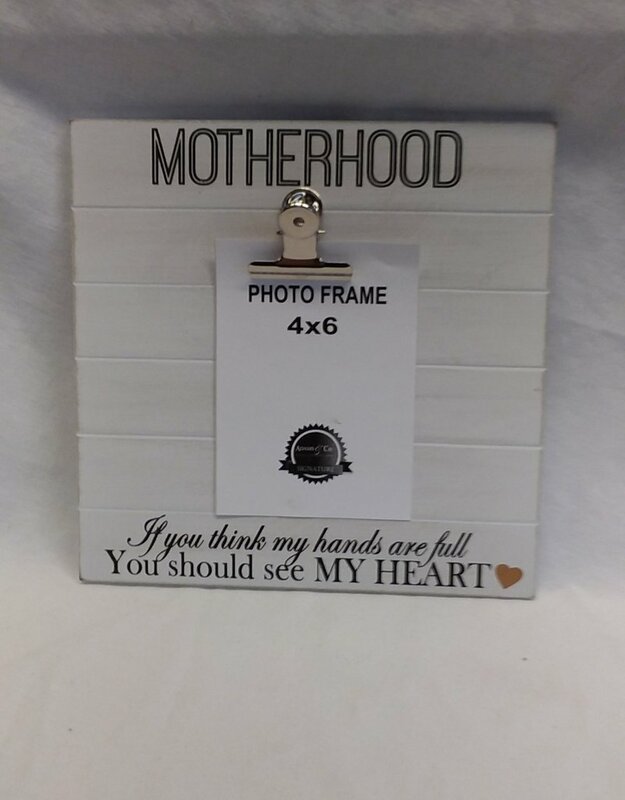 Motherhood Sign w/Photo Clip, 9.5"x9.5"
Home / Motherhood Sign w/Photo Clip, 9.5"x9.5"
Motherhood If You Think My Hands Are Full, You Should See My Heart sign w/photo clip. 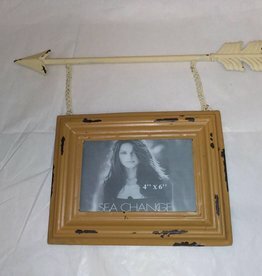 Holds a 4X6 picture. 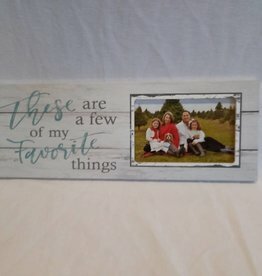 Can be hung on a wall or stand on a shelf. 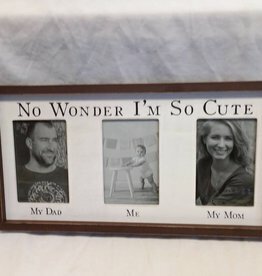 A great gift for the new mother. 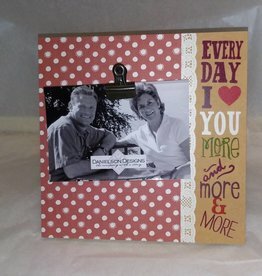 9.5"x9.5"
Every day I (heart) you more & more & more. 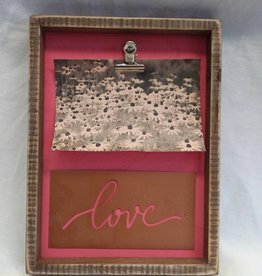 Holds a 4x6 picture. 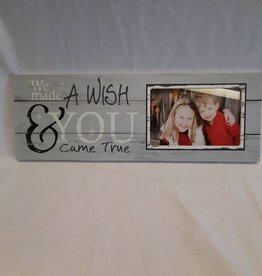 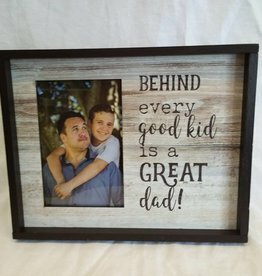 8 1/2" x 8 1/2" x 5/8"
Wish Came True Picture Frame. 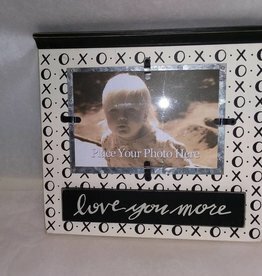 15.5"x5.5"x.75"
Favorite Things Picture Frame, 15.5"x5.5"x.75"
Love You More Photo Clip Frame. 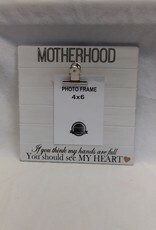 Holds 4X6 photo. 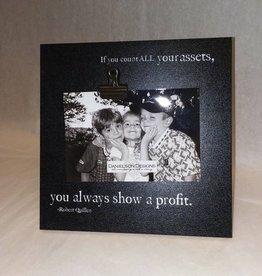 9 1/2" x 8 3/4"
If you count All your assets, you always show a profit, clip frame. 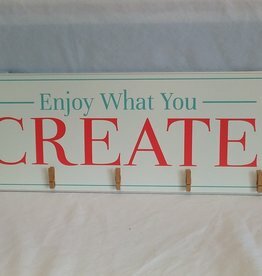 8.5" x 8.5" x .5"
Enjoy What You Create Sign w/5 Clips, 20"x8"